Ottawa will make a significant investment to protect the Great Lakes from the threat of Asian carp, a large invasive fish that could jeopardize the food supply of native species if it enters Canadian waters from the U.S.
Minister of Fisheries and Oceans Keith Ashfield announced Monday that $17.5 million will be allocated over the next five years to four key activities: prevention, early warning, rapid response and management and control. This follows the United States announcement that they will spend $50 million in 2012 to help prevent the carp from entering the Great Lakes. In addition to damage to the environment and natural habitats, invasive species cost Canadians billions of dollars every year due to the combined cost of lost revenue and control measures. 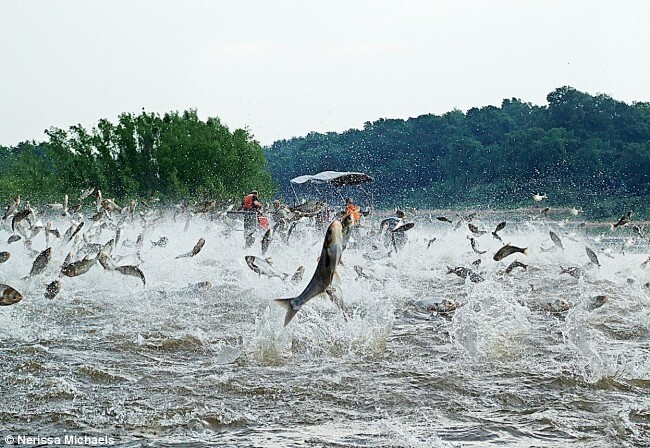 if Ottawa give the business fishing license(Asian carp ) to Chinese company .These Asian carps will become extinct in five years. and government costs 0$ on it.